Fabric Banners give that rich look that you just can’t get from vinyl, and we are starting to print a lot of fabric banners with our UV curable printers. 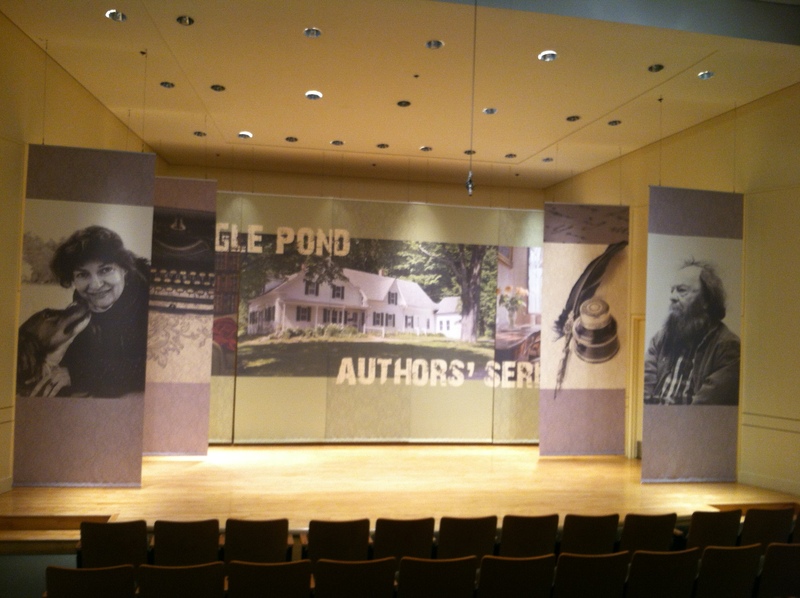 These were done for the recital hall at Plymouth State University for their Eagle Pond Authors Series. This entry was posted in large format printing and tagged banner printing, cloth banners, fabric banners. Bookmark the permalink. I too prefer Fabric banners in promoting Business. From my experience I have noticed that cloth banners offer many advantages over vinyl. Cloth is lighter, is easier to frame and mount, is more durable, and has longer-lasting color brightness. Compared to vinyl, cloth is more appropriate for banners in windy areas.